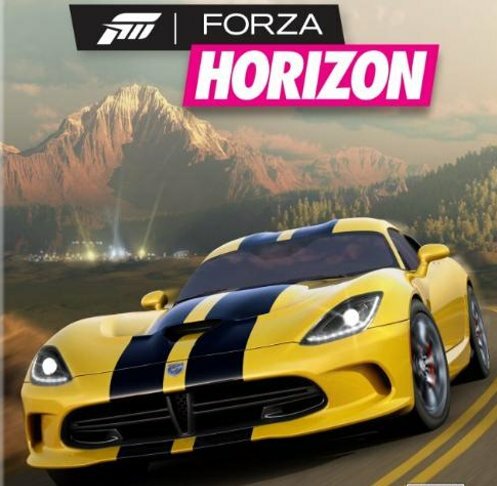 The folks at Microsoft have just unveiled the first screenshot and an look at the cover of the upcoming driving game Forza Horizon – showing that the 2013 SRT Viper in action in the game while also appearing on the cover of the new game in bright yellow with black stripes. Microsoft announced months ago that there was a new installation coming to the incredible Forza Motorsport series but with the formal introduction of Forza Horizon through a single screenshot and a look at the cover, we have an early idea as to what to expect with the help of the 2013 SRT Viper. Very little information is available on Forza Horizon but the company promises that the new driving simulator “combines the automotive thrills that Forza fans expect with a gorgeous open-road world that begs to be explored” with our first look at this world featuring the gorgeous new SRT Viper GTS. Based on this short description, we expect that Forza Horizon will be unlike the Forza Motorsport series games that take place strictly on sanctioned race courses around the world while the new Horizon title will have a free-drive feel similar to popular titles like Test Drive series and many of the Need for Speed games. There has been no indication whether Forza Horizon will take place on “real” roads around the world or if Horizon will occur in a fictional location created for the game but anyone who plays Forza Motorsport 4 (like myself) can expect this new game to be 101% awesome. Both the initial screenshot shown on the right (and available larger in the gallery) showing the new Viper appear to be in desert areas with mountains in the foreground and background. When the 2013 SRT Viper was introduced in April at the New York Auto Show, its debut was soon followed by the news that the new Viper, Viper GTS and Viper GTS-R would soon arrive in the game Forza Motorsport 4 via the new Viper Pack. No time frame has been offered as to when that FM4 Viper Pack will hit the virtual shelves of the Xbox Live Marketplace but thanks to these first two images from Forza Horizon, we know that the new Viper will arrive on the Xbox 360 no later than this fall when Horizon debuts. Hopefully FM4 will get the 2013 Viper via the Viper Pack ahead of the debut of Forza Horizon – only because I don’t want to wait until this fall to use the new Viper in the game and I’d bet that most Forza fans reading this don’t want to wait that long either. Click the thumbnails above on the right for a closer look at the game cover of Forza Horizon along with the first official screenshot from the new driving simulator featuring the 2013 SRT Viper! Thanks to Chase and my gorgeous wife Amanda for the heads up on this!